Hi everyone! I have a simple, quick smoky eye to show you guys today. This one is a little different because the emphasis is put on the lower lid instead of the upper lid. 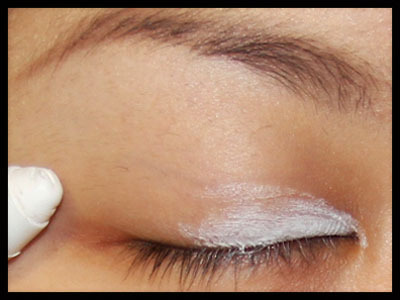 Start with a white base only halfway across the eyelid on the inner corner. I'm using the NYX Jumbo Eye Pencil in Milk to add to the vibrance of my eyeshadow in the inner corner of my eyes. 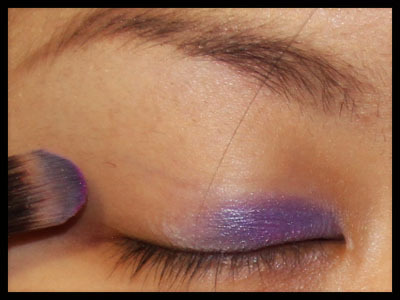 Apply a purple eyeshadow on top of the eye pencil. 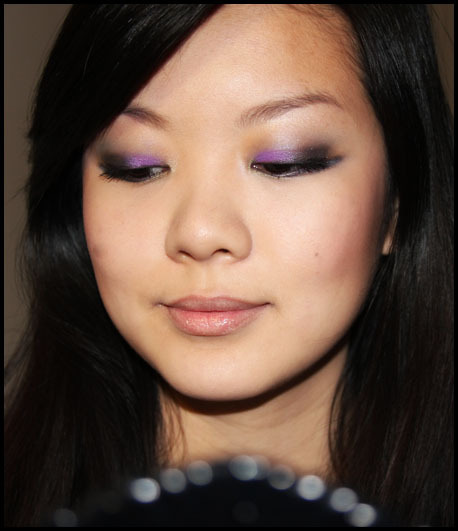 I am using a purple eyeshadow from my 88 Mattes Palette. 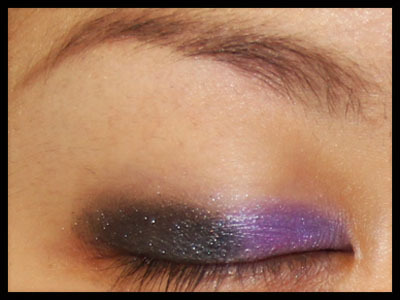 On the outer area of the lid, apply a black base. I am using Benefit Creaseless Cream Shadow/Liner in Strut. 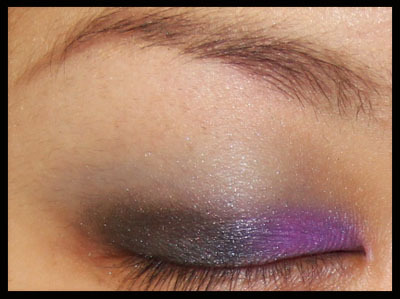 On top of the black base, apply a black eyeshadow. 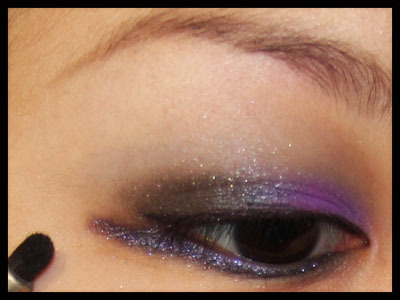 I applied one with shimmer - Ameli Sparkle Spot Eyeshadow in Black Scandal. 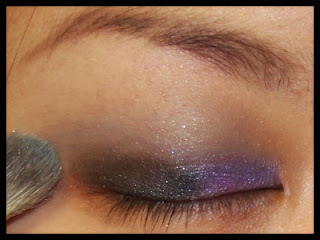 Then, using a fluffy brush, blend a blue colour into your crease. I am using a light blue from my 88 Mattes Palette. Apply a highlight colour to your brow bone. I am using a pale yellow from my 88 Mattes Palette. Line your eyes with an eyeliner - both upper and lower lashlines. 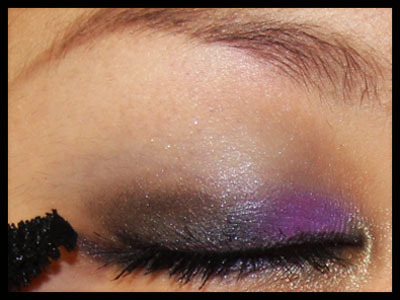 Don't flick the eyeliner too far out on the upper lid. I am using Clinique Brush On Cream Liner in True Black. 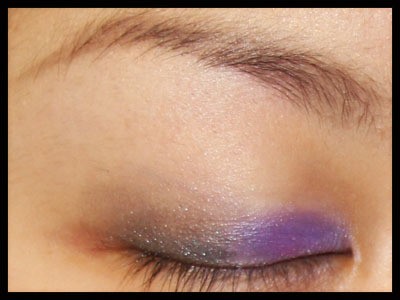 Then, using a pencil brush or a similarly small brush, apply a shimmery blue eyeshadow to your lower lashline. Take it slightly lower than usual, and stretch it out past your natural lower lashline. I am using a shimmery blue from my Sleek i-Divine 'Circus' Palette. Apply mascara. The focus should be on the eyeshadow on your lower lid, so if you have naturally long and thick lashes, don't overdo the mascara. If you have short, sparse lashes like I do, apply a generous coat so it looks like there's something there :p I used Benefit BadGal Lash. Apply a pink blush, and contour your cheeks. I used MAC Mineralise Blush in Gentle, and Sleek Contour Kit in Medium.